Star Wars Mania Returns - Are You Ready For THE LAST JEDI? Star Wars Mania Returns – Are You Ready For THE LAST JEDI? In Lucasfilm’s Star Wars: The Last Jedi, the Skywalker saga continues as the heroes of The Force Awakens join the galactic legends in an epic adventure that unlocks age-old mysteries of the Force and shocking revelations of the past. The film stars Mark Hamill, Carrie Fisher, Adam Driver, Daisy Ridley, John Boyega, Oscar Isaac, Lupita Nyong’o, Andy Serkis, Domhnall Gleeson, Anthony Daniels, Gwendoline Christie, Kelly Marie Tran, Laura Dern and Benicio Del Toro. 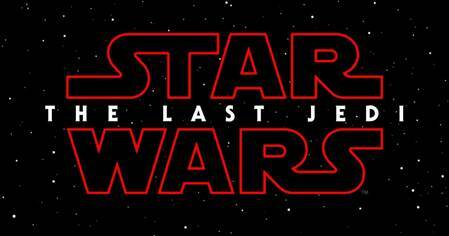 Star Wars: The Last Jedi is written and directed by Rian Johnson and produced by Kathleen Kennedy and Ram Bergman. J.J. Abrams, Tom Karnowski and Jason McGatlin are the executive producers. Any Star Wars fans out there? It is Star Wars month… EVERYTHING also STAR WARS. Are you ready for the dark side? Star Wars: The Last Jedi premieres on 14 December 2017. Here are some Star Wars Merchandise you can indulge yourself in. It’s is time to make use of the DARK FORCE to clean up your house. 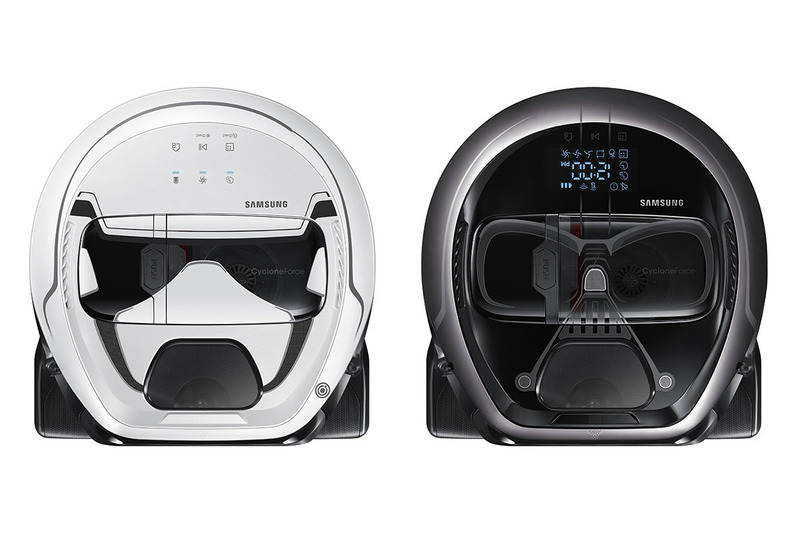 The Samsung POWERbot Star Wars Edition VR7000 Robot Vacuum Cleaner are not just your friendly force when comes to house chores, but also a talking point for guests visiting your home. 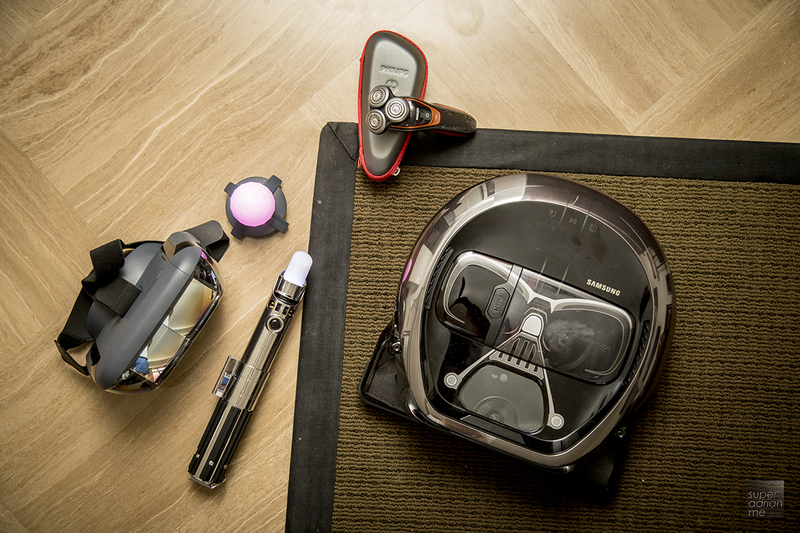 Comes in two designs, Stormtrooper and Darth Vader, these robot cleaners will make a grand entrance with the Imperial March anthem at the start and the end of their job cycle. How cute is that right? The Samsung POWERbot Star Wars Edition price starts from S$949. Philips launched three limited edition Star Wars Shavers – Stormtrooper Shaver (S$109), BB-8 Shaver (S$149) and Poe Dameron Shaver. The limited edition shavers are available until 31 December 2017 from selected electronic stores, major department stores and authorised dealers and online at www.philips.com/starwars. From tower defence to chess games to dueling the Dark Lord himself, can you clear all the stages and emerge as the true Jedi in Lenovo Mirage AR Jedi Challenges? This highly immersive augmented reality game is a must have for all Star Wars fans. Even non gamers fell in love with this game and caught the game’s momentum instantly. That Luke Skywalker’s light saber replica controller is already a keeper for fanatics. The Lenovo Mirage AR Jedi Challenges retails in Singapore at S$379. It will keep you and your friends busy especially if you are having a party at home. 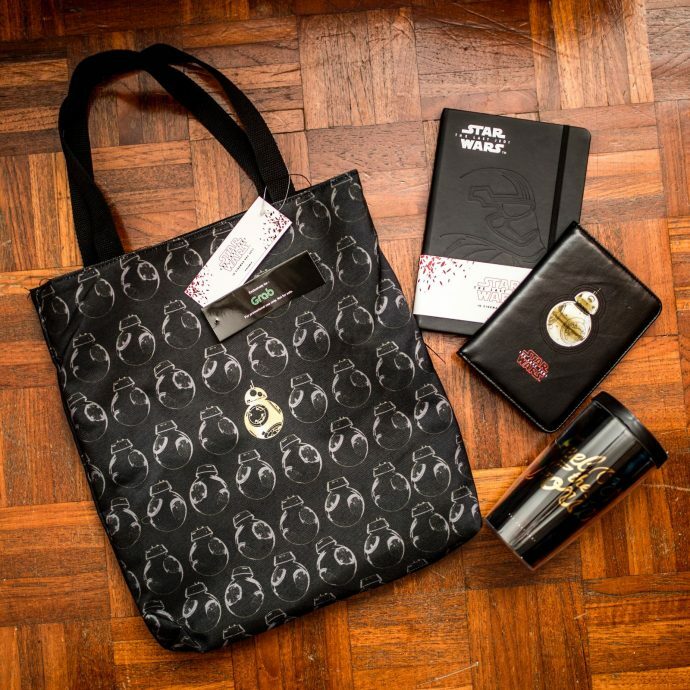 Grab also came out with exclusive merchandise for riders to redeem using your reward points from Grab. That includes a BB-8 tote bag, passport holder, Stormtrooper notebook and Feel The Force tumbler. 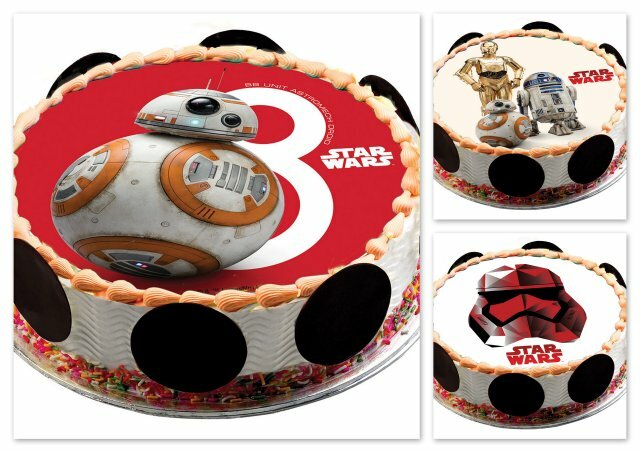 And from 15 December, Swensen’s will be launching a new collection of Star Wars Action Fun Prints Ice Cream Cakes. There are eight new designs featuring the blockbuster’s iconic characters including Rey, Kylo Ren, Chewbacca and BB-8. This is in addition to the existing range of over 40 Star Wars illustrations. Each cake is priced at S$52 per kg. Choose your own design and it can be further customised by shape, weight and flavour. Orders for the Star Wars Action Fun Prints Ice Cream Cakes may be made at any Swensen’s or Earle Swensen’s outlet, via Cooline at 6788-8128, or online at www.swensens.com.sg. Home delivery is chargeable at $14 per cake to one destination. 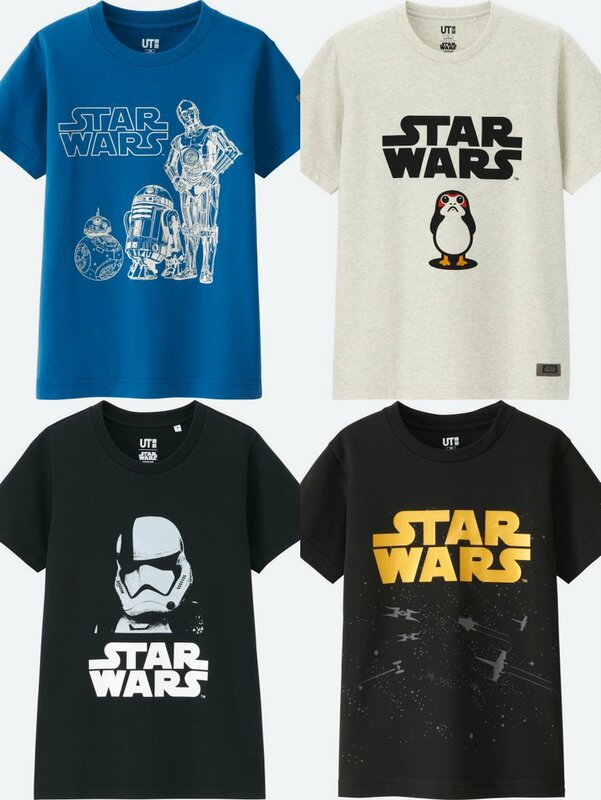 The Star Wars: The Last Jedi UT collection from UNIQLO features the classic logo and light sabre-inspired colours, army-style colours and two types of heather tone designs. Prices range from S$14.90 for a Boy’s graphic t-shirt to S$29.90 for a men’s sweatshirt. We spotted a few cute ones. Pick one up for the movie? 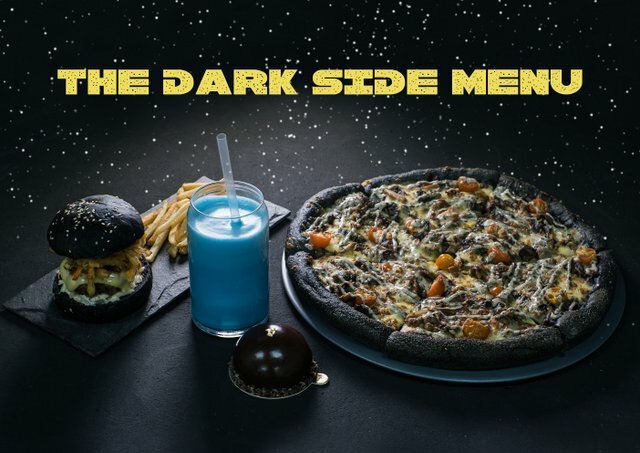 Till 28 December 2017, you can order The Dark Side menu from Deliveroo which features Pezzo’s jet-black pizza and Paul’s planet-shaped chocolate cake. Look for “The Dark Side” menu tag on deliveroo.com.sg or the Deliveroo app to find the complete selection of the blackest dishes. There’s W. Burger by Magosaburo Café, Blue Milk by Once Upon a Milkshake, Tufflin’ Turffle Mushroom by Pezzo, Gateau au chocolat et caramel sale by Paul, 1KS by Park Bech Deli’s Tuna or Turkey Charcoal sandwiches, El Tardeo’s Squid ink Paella, Seoul Garden’s Deep-Fried Charcoal Dubu cake.